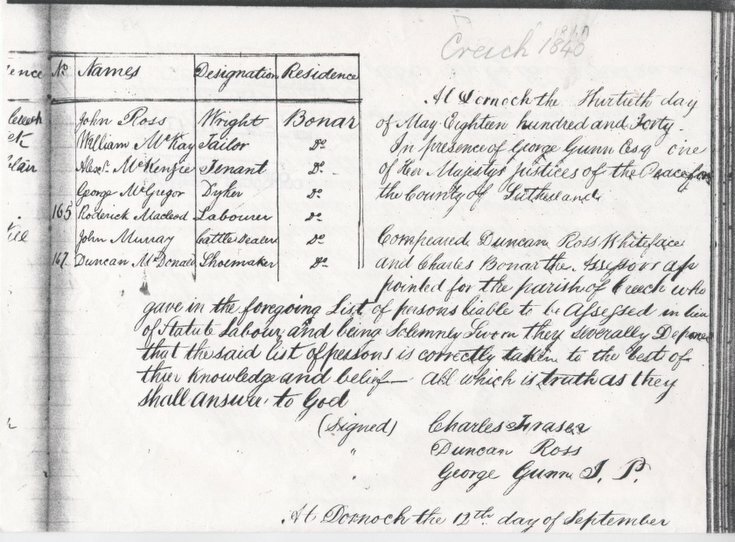 Statute labour list for the parish of Creich 1840. Lists names, occupations and residences. 3 loose sheets. Researching ROSS family ancestors around Bonar bridge, I would appreciate any advise regarding best sources for learning more about this John Ross, as I have history of family living near Bonar Bridge about 1840.